Confession time: I am embarrassed by how long this draft has sat without me adding a single word aside from the title. Literally years. I thought to myself, "Oh, this is a valuable topic to discuss, I should totally do this" and then for some reason I always found myself with something else to write about. Here's the deal, "networking" can be uncomfortable, especially if you don't know your purpose. Often when you hear the word you may imagine a room full of people in stiff clothing, trying to balance drinks and appetizers, while shaking hands and handing out business cards and disingenuously interacting with one another. However, if you're doing it right, networking events can be great experiences where you meet and start to build relationships with others, and might even, dare I say it, have fun. This is the #1 most important step to make the most of a networking event: know why you're going. Seems obvious, right? But when you think about it, the answers will vary greatly depending on where you are in your career or job search and what sort of an event it is. For example, suppose you are in a good place in your career and you want to learn about some new developments in your industry that you think may impact your clients. If this is the case, the reason you are going is to make connections with others who are trying to help clients like yours or even to meet people like your clients to see what sort of challenges they are facing and what they are most concerned about. Therefore, you are looking to both share and gather specific information, not to have general conversations and build relationships that may help down the road. This leads us into the second point of figuring out where to go to accomplish this goal. 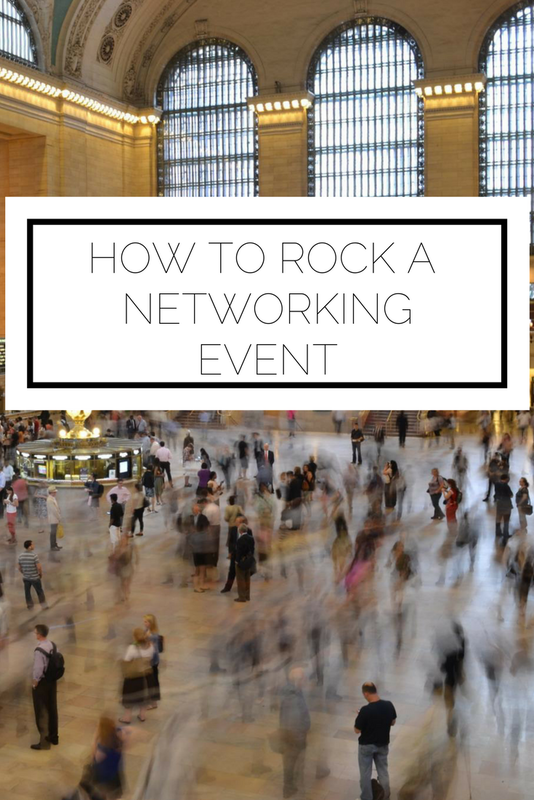 Not all networking events are created equal. There are gatherings that are focused on a particular career, industry, geographic area, organization...the list goes on. Once you know what you are looking to give and gain from an event, you can narrow down the type. When you're in school it is easy to find networking events related to your field of study and it's a good idea to do so sooner rather than later to build up your contacts and learn about your chosen career. By looking at flyers, visiting your school's website, and joining organizations you can be tuned into what is available. Out in the real world, there can be events organized by your company, through a professional association, or through websites like Meetup (quick disclaimer: I haven't used Meetup myself, but I have heard great things about the site and fully intend on checking it out). Something my friend Calea does is combine her love of fitness with her networking. As a financial planner she helps people manage their investments and accounts, but she doesn't limit herself to meeting new clients in conventional business settings. Instead, she does what she is passionate about, meets like-minded individuals, and then works to see if there is a way that she can help them. Sorry, but I couldn't resist a Disney reference haha. Once you know what type of event you're going to and your goals, it is a good idea to prepare and do your research. If you are going to a recruiting networking event you can research the companies ahead of time so you can ask thoughtful questions. You can make sure you have an easy way to exchange information, perhaps with business cards, and have a resume prepared. Getting yourself in the right mindset before is important too! Although you may feel nervous meeting new people, remember that everyone is in the same boat. Everyone wants to make great connections, learn, and have a valuable experience. To the extent that you can help others achieve this, make sure that you do (facilitating introductions, including others in conversations, etc) and it will be reciprocated. If it helps you can ask a friend or colleague to go with you so you can work off of each other as you meet new people. However, I've found that going to events alone has been the most challenging and rewarding experiences, forcing me to venture outside of my comfort zone. Speaking of being challenged, it can be helpful to make a goal for yourself. For instance, you can make it a goal to have three valuable conversations with people you do not know. Or perhaps make it your goal to learn about another upcoming event that will help in your development. Whatever your challenge may be, stick to it to push yourself to make the most of the event. This is an often overlooked step, but essential! Once you've had a networking experience take some time to reflect on what you learned, who you met, and what you can improve on/do differently moving forward. I love to journal (exhibit A and B) so I will write about what happened as I think through it. 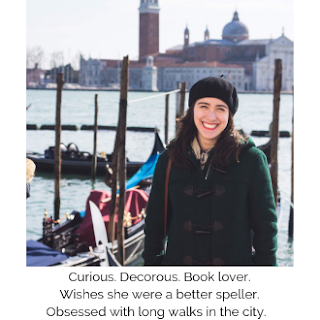 You may write like I do, make lists, or talk about it with someone else. Once you've reflected you can think about those people who you should followup with. That could include sending them a LinkedIn request, a quick email, or something of the sort. When you followup make sure to reference the event where you met and something you spoke about. If there are any actionable items (for example, you told them you would forward an interesting article or put them in touch with someone else) make sure to do it as soon as possible. Being memorable includes being prompt so make sure you take advantage of the 24 hours following every event. With these key steps you will be prepared to take on any event you find yourself at! What is your best networking advice? How do you meet the right people and stand out?